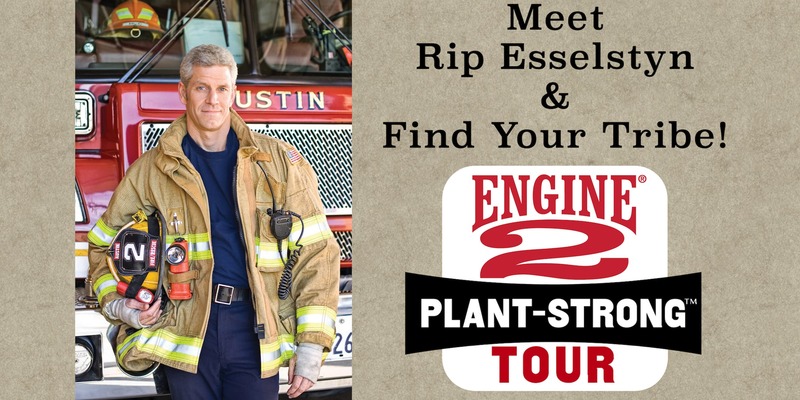 Join the tribe in meeting Rip Esselstyn, founder of Engine 2 and passionate healthy-eating ambassador for Whole Foods Market. Rip has taught thousands how to achieve optimal health with the joyful adoption of a whole foods plant-strong diet. Register to attend this free in-store event and meet like-minded people while learning the "how" and "why" behind the lifestyle. Rip is the author of four books, the best-selling "Engine 2 Diet", the #1 NY Times best-selling "Plant-Strong", "The Engine 2 Seven-Day Rescue Diet", and together with his sister Jane Esselstyn, "The Engine 2 Cookbook".